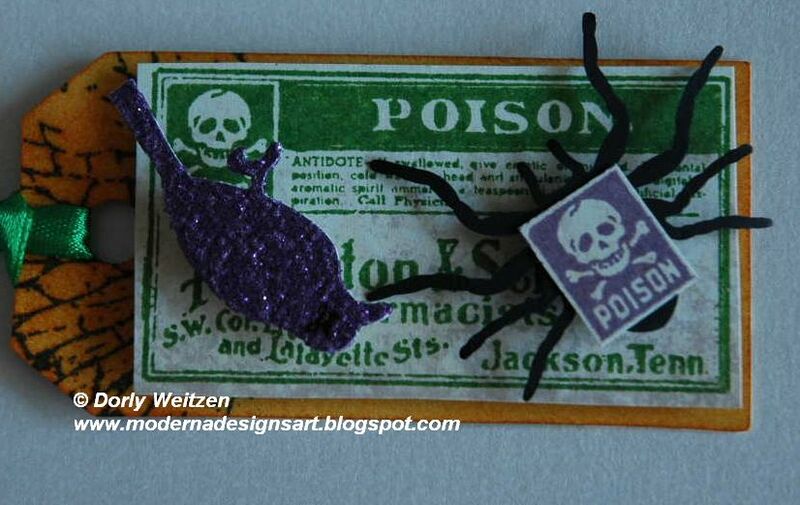 This is my first tag, created for the ATT Halloween Chaos Tags Swap (group 4). 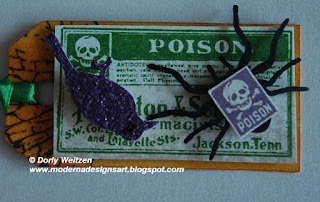 In my tag you can see the main theme of poison, and the poor raven lying on its back after being poisoned by the spider. The raven has a black X for an eye (well. it's dead...) and the colors were chosen for Halloween, of course. A side view shows the 3D elements, for extra dimension.